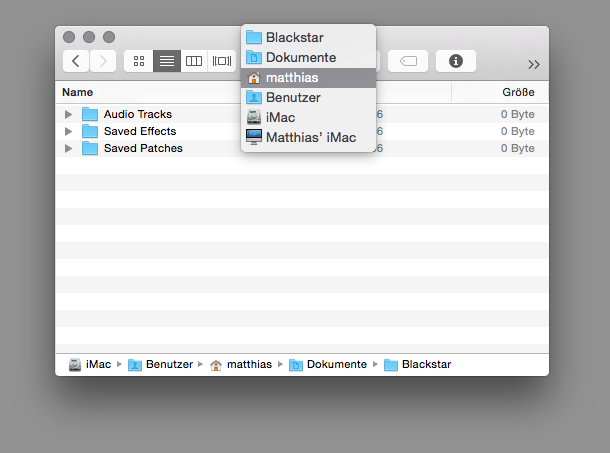 now that the Save as command works as expected on a Mac (in Beta 1.0.21212 the document name is not untitled anymore), maybe you reconsider another OS X shortcut: Alt-clicking the document title should reveal Finder hierarchy. It is much easier, nicer and deeper than the current Reveal in Finder command plus it’s standard on OS X.
I use this feature very often to quickly get where I have to and I really miss it in AD. +1 for this. As Matthias said, it is very useful. b hopefully not too hard to do. Can't believe that you asked for this over 2 years ago. I'm asking too.